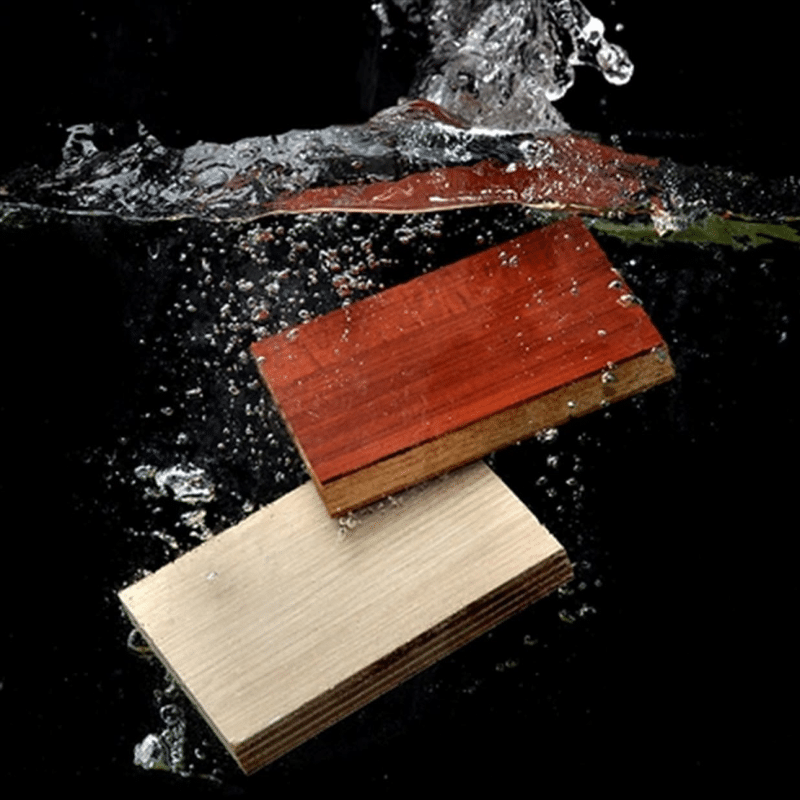 Waterproof plywood are made with special water resistant glue to make the sheet more suitable for humid conditions. In the process of plywood manufacture, the veneers are spread with glue and then laminated together. Waterproof glue are pre-lamianted on the hardwood veneers. It is a moisture resistant material that consumers use for various purposes in their home. It is great for outdoor usage, as it is resistant to various weather conditions, such as rain and snow, etc. The film faced plywood must be waterproof because it has direct contact with concrete. If the board is not resistant to water it can swell or delaminate which will baddly affect formwork companies. Some film faced plywood used for truck flooring and stages are made with wbp glue as well. Marine plywood is WBP plywood that use phenolic glue. The sample can be water boing proof for 72 hours. This property makes it suitable for exterior uses. If you want long lasting just use epoxy resin to do a couple of coats. Epoxy is a fine choice. There are a number of high durability paints and finishes that will do the job. Think two component mostly, although there are waterborne urethanes now that might be an option. No matter what, choose the right plywood grade. The adhesive systems and performance specifications differ a lot. You probably want even better than normal exterior grade — marine grade, IIRC.